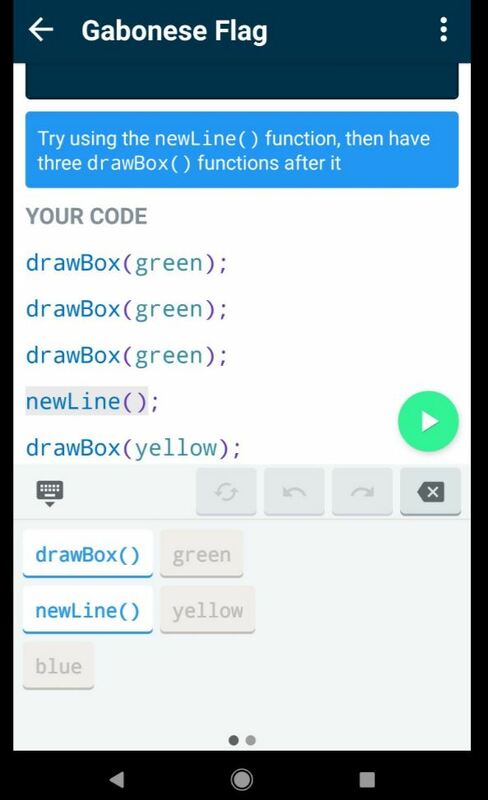 UPDATE 5/6/2018: After working on Grasshopper for 16 days in a row…..I GRADUATED! Yippeee! 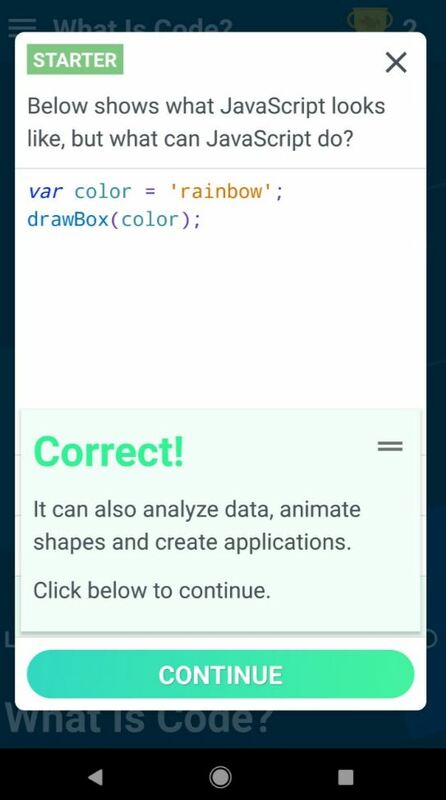 After a quick look at the app, I was totally impressed and ready to get started. 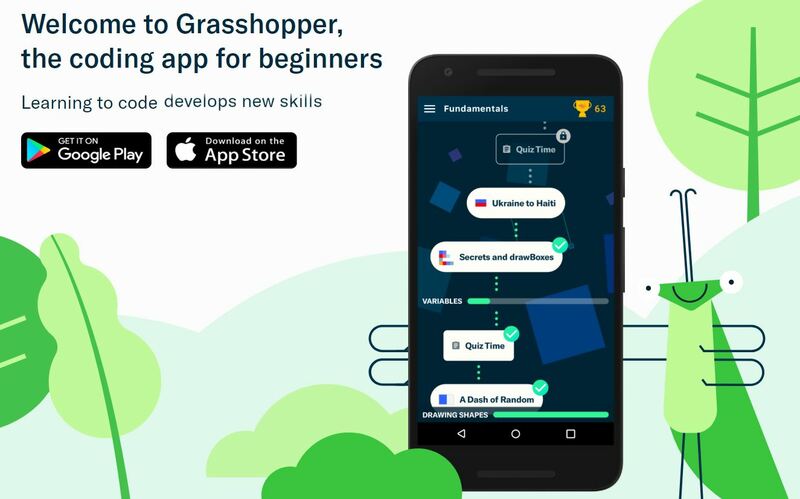 What can I expect to learn using Grasshopper? 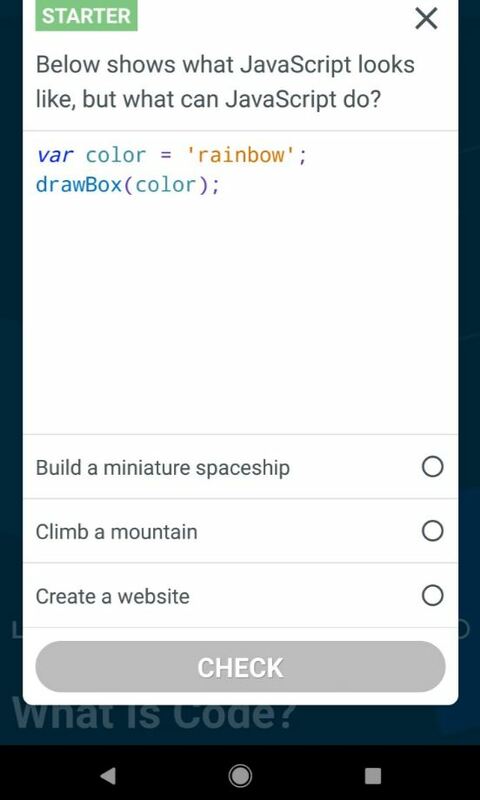 Animations I – Drawing shapes using the popular D3 library, defining functions, callback functions, and animations. 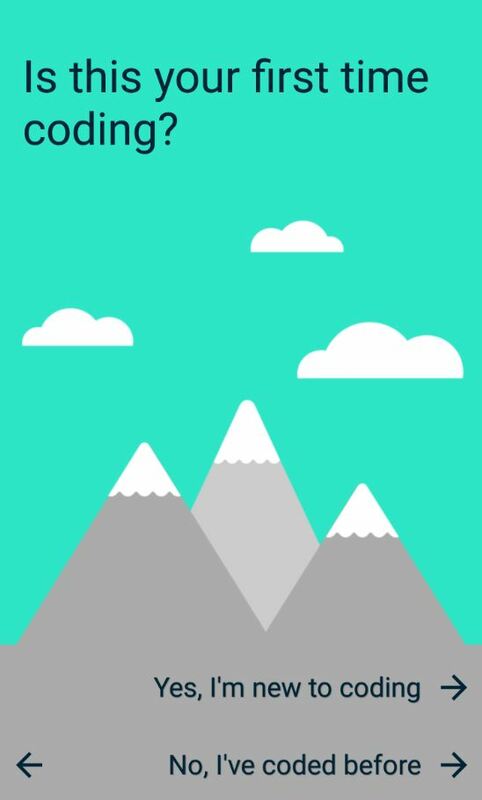 Animations II – Creating more complex functions using D3 and the topics from The Fundamentals course. 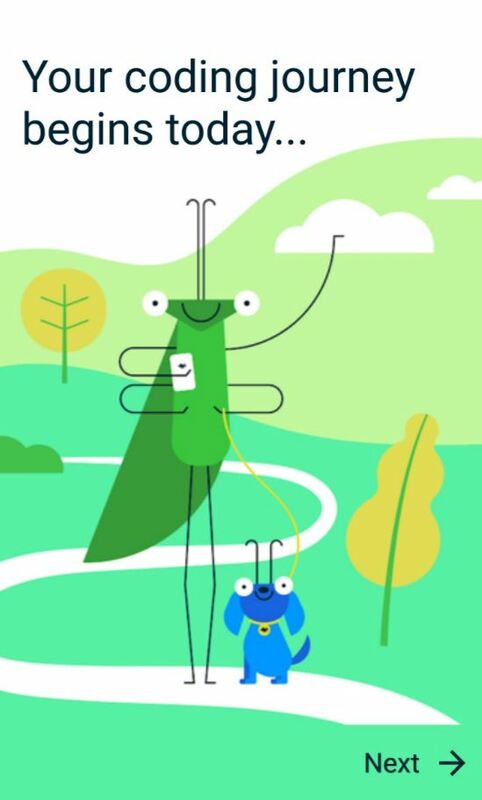 By the end of using Grasshopper’s current curriculum, you should be familiar with core programming concepts and feel confident playing around within this playground to build interactive animations. 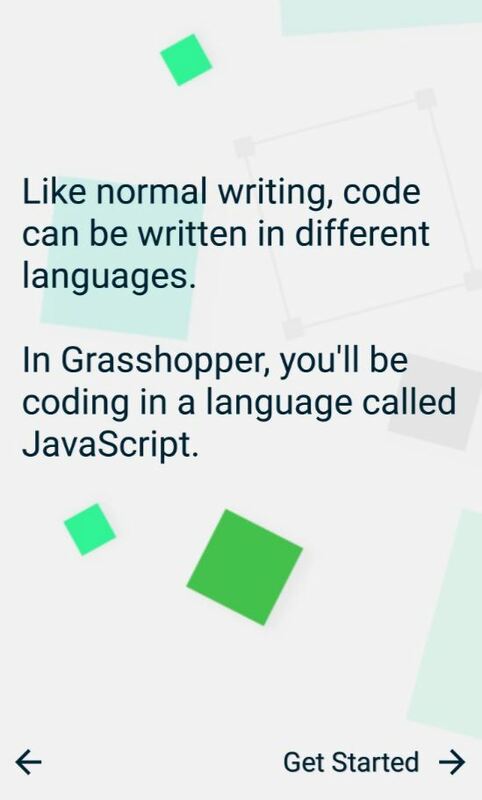 What should I do after I use Grasshopper? 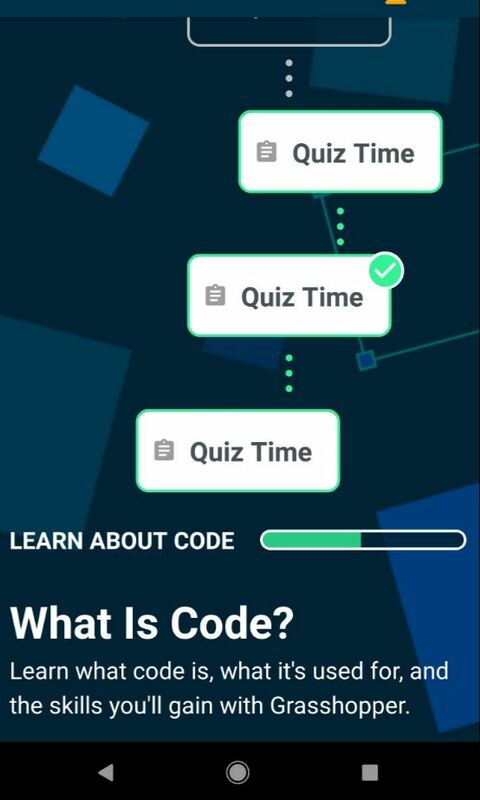 With that option selected, these screens explained to me what coding is and what I hope to learn. 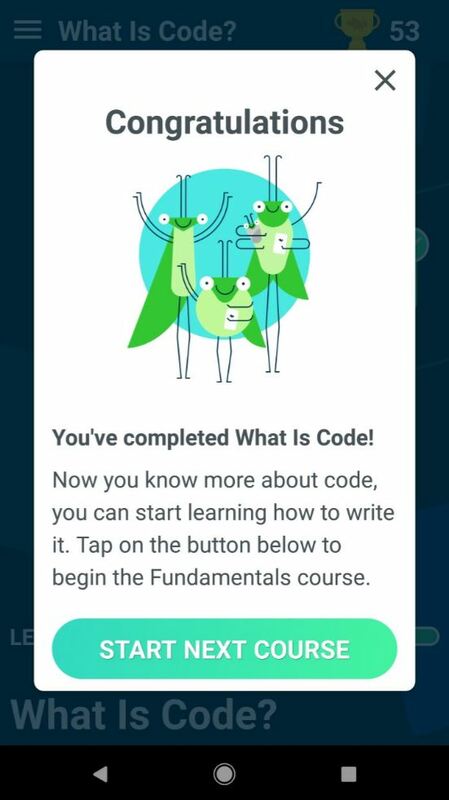 Still nailing this course, I am ready. On the last screen, I clicked “Get Started” and held my breath in anticipation. This is what came up: A Quiz, arrrrgh, so soon???? Geez, teacher, give me a break. (NOTE to Google: This should say “Starter Quiz #1”. I hit continue, and this is what popped up. 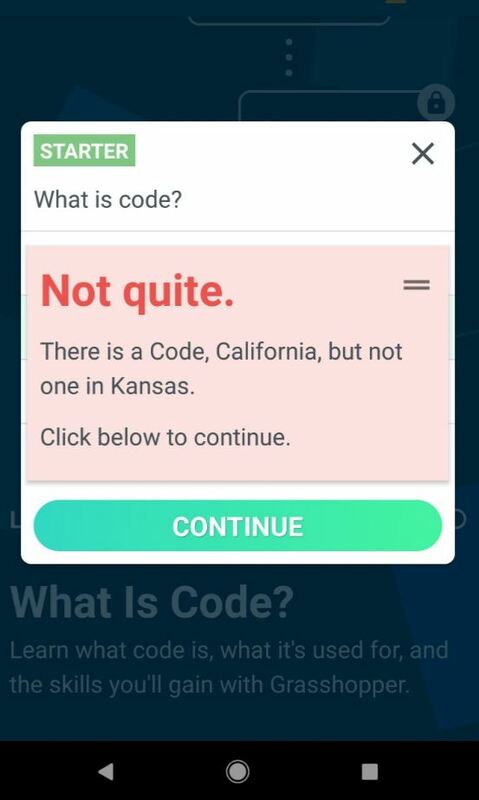 Nevertheless, I clicked on the Quiz that was moving in and out on my screen and selected “Create a Website” hoping I got it right. I did! 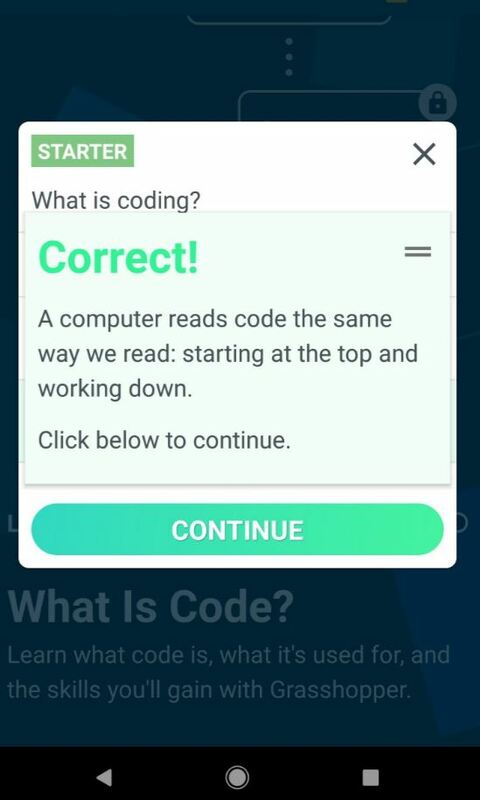 Then I hit “Continue”. 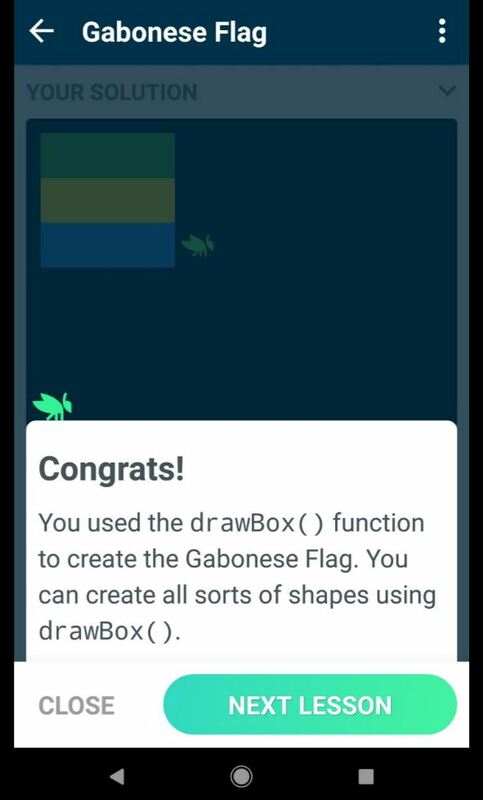 I will skip a few lessons (which I aced, by the way) and show you how I built the Gabonese Flag. 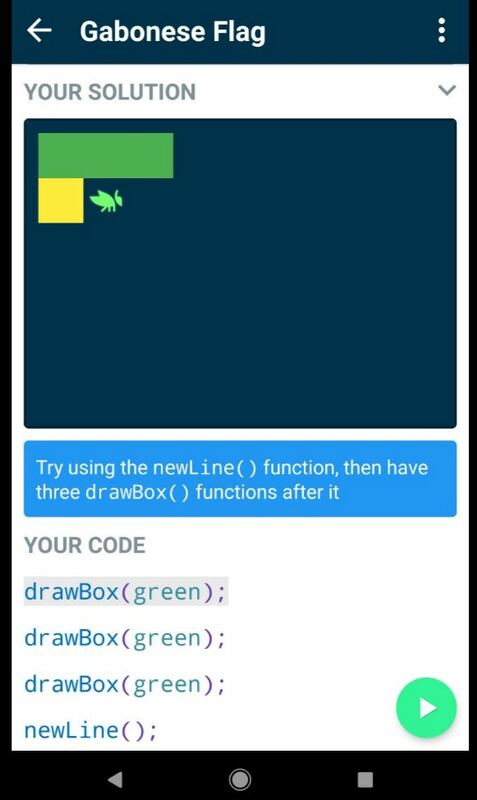 The above screenshots show you step-by-step how to program your boxes to resemble the Gabonese Flag. 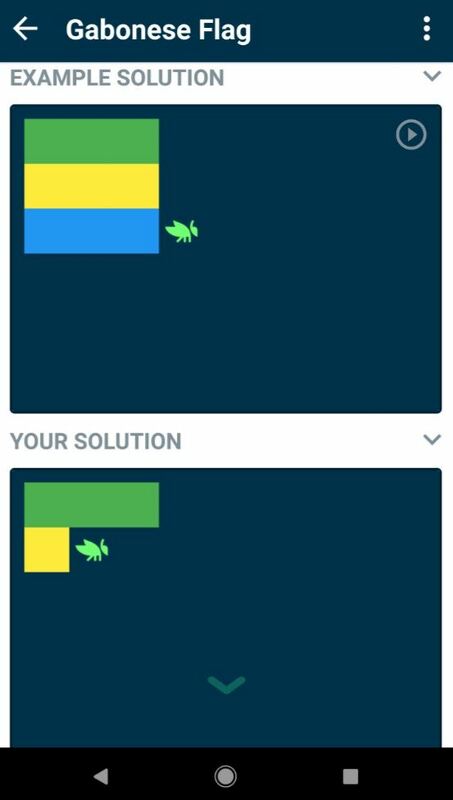 The first screen shows the flag, then Grasshopper shows you a partial solution, with partial code, that you can look at to see how the second and third screens relate to the code. 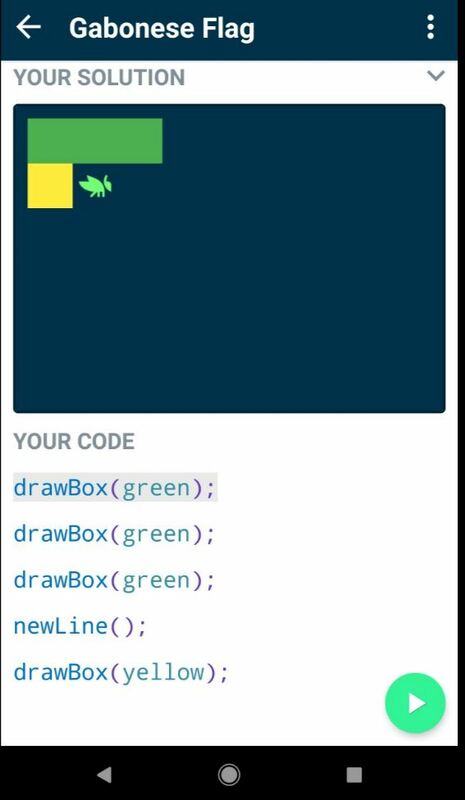 Looking at the code in the last two screens, the Gabonese flag consists of: Three green blocks (drawBox(green);), a new line command (newLine();), then one yellow box (drawBox(yellow);), then I am supposed to finish the code from there by adding more yellow boxes, a newline, and adding three blue boxes. 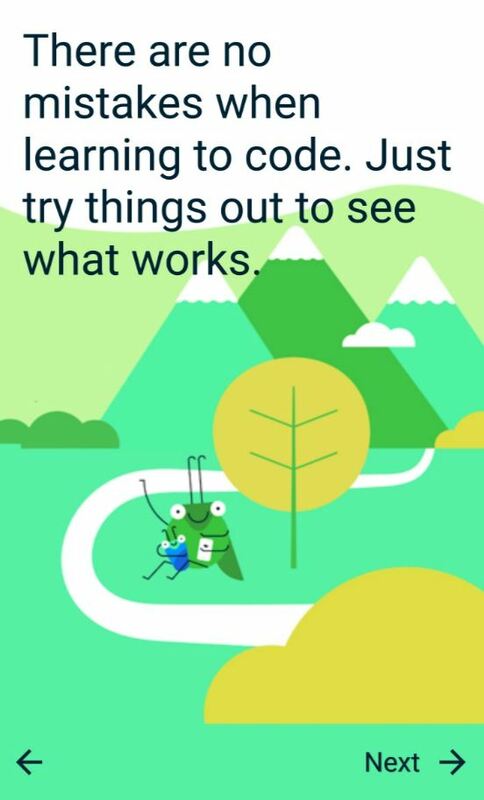 But, despite the intense pressure, I scrolled down so I could write MY code. 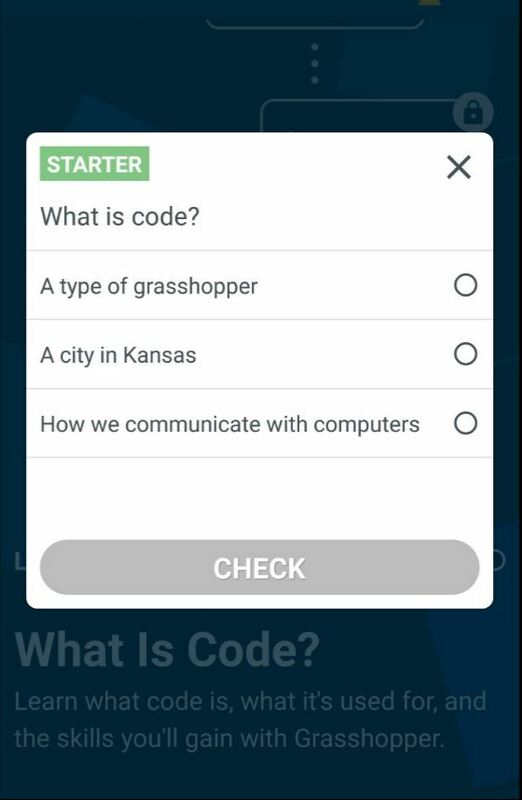 Luckily, in the first screen, Grasshopper leads you pretty much thru the coding process, but, you still have to think (Think? What’s that?) 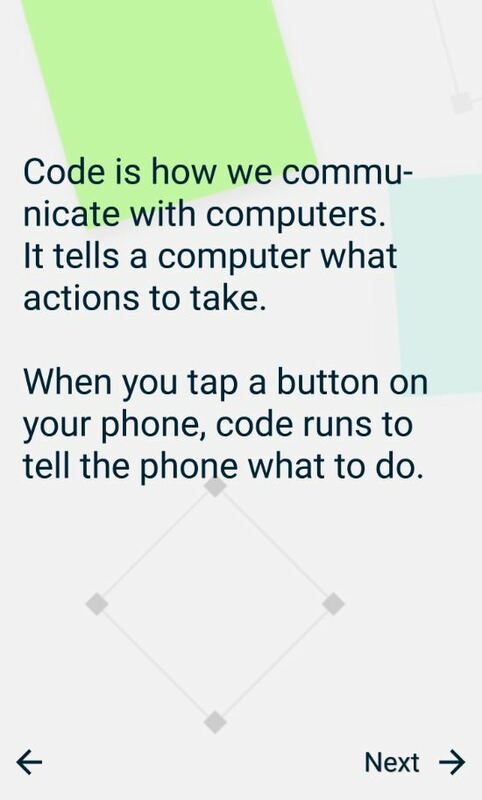 to finish the coding in the second screen. 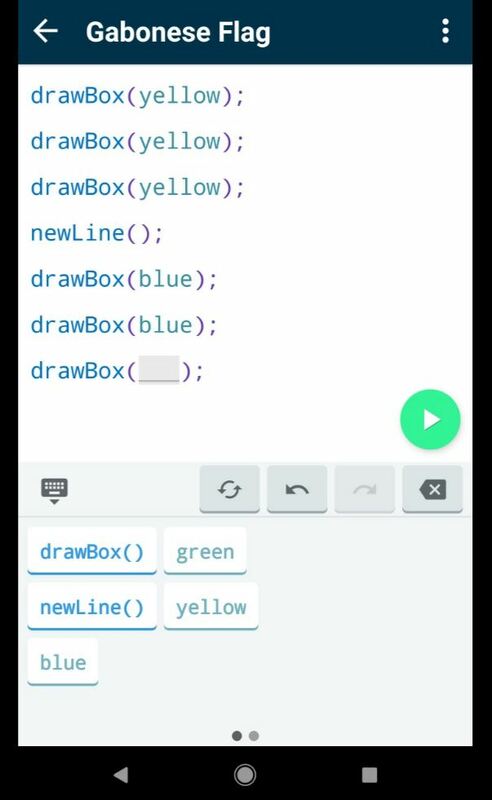 Anyway, the second screen shows the rest of MY code where I finished the yellow row with two yellow boxes, added a new line, then added the three blue boxes. …..I hit the green arrow to run my program, and I got this. 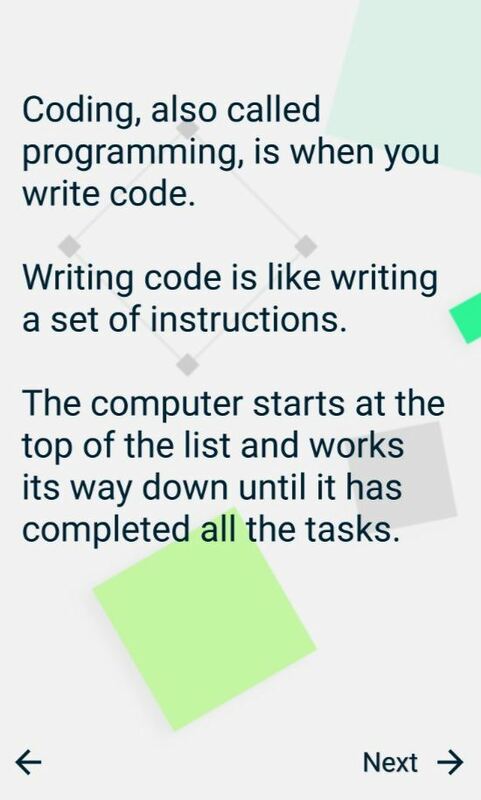 I have since moved on at lightning speed to “Variables” and “Arrays”. I know these were my weaknesses in Perl, but, after messing up a few quizzes in “Variables” I aced the “Arrays” and learned a bit about why I was messing up “Variables”. Who knows, maybe YOU can get out of your dead-end job and start a new career. Go for it. Let me know what happens in the comments below.